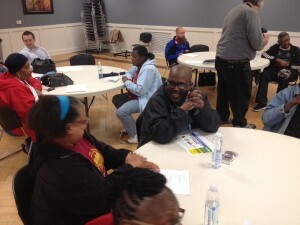 Residents worked hard to advocate for this service, and riders are thrilled to have these much needed connections to jobs, school, shopping, events, medical appointments, places of worship, and more. Thanks to all who helped make this happen!We know more communities still need service, and we look forward to keeping up the fight. The proposal includes adding weekend service the 89 Garfield!! 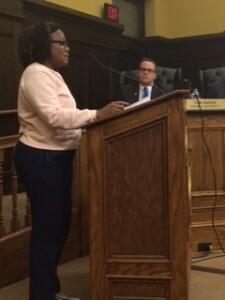 Aggie Brose of Bloomfield Garfield Corporation and Donna Terry of the 89 Garfield Action Team addressed the crowd at the celebration and rally for more service. 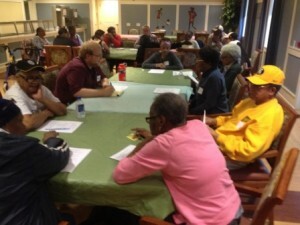 Residents came together on May 4th to discuss action steps for Port Authority’s service change announcements. 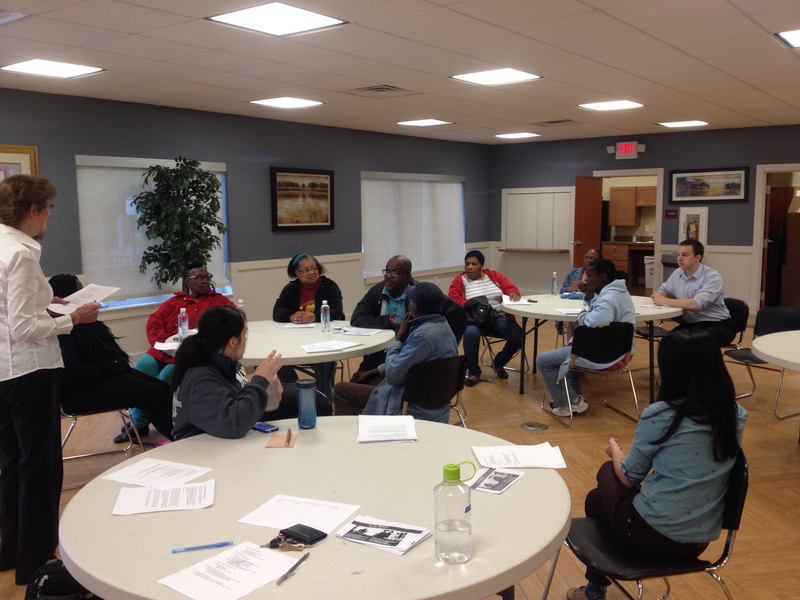 We also worked on one-to-one organizing conversations and how to get more people involved in the fight for better transit! 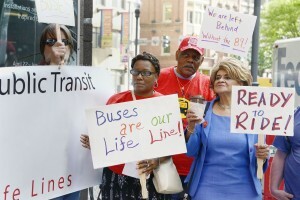 Elected officials came together to write a joint letter of support for weekend service on the 89 bus route. Thank you to Senator Fontana, Representative Gainer, County Councilwoman Russell, and City Councilman Burgess for your support of the Garfield hilltop community. 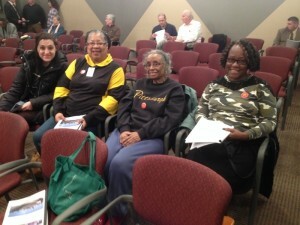 At the February 16th county council meeting three residents from Garfield Commons, Annie McGowan, Donna Lee Terry, and Myval Johnson, along with PPT’s Molly Nichols and BGC’s Aggie Brose spoke in support of councilwoman’s Denise Ranalli Russell’s motion to urge Port Authority to restore weekend service on the 89. The council voted unanimously in support of the motion. 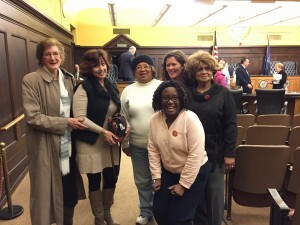 Thank you councilwoman Russell and congratulations to the residents of Garfield on all of your hard work! 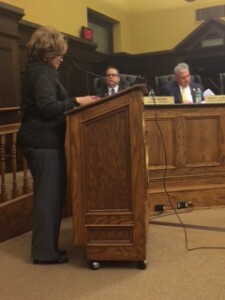 Click here for press coverage of the event. Aggie Brose, Denise Ranalli-Russell, Annie McGowan, Donna Terry, Molly Nichols, and Myval Johnson celebrating the unanimous support from county council for weekend service in Garfield. 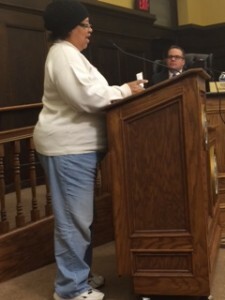 Donna Terry, Annie McGowan, and Myval Johnson addressing county council. 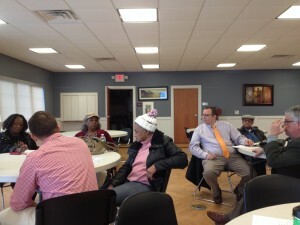 On February 1st we met for a community meeting with elected officials to push for weekend bus service on the 89. 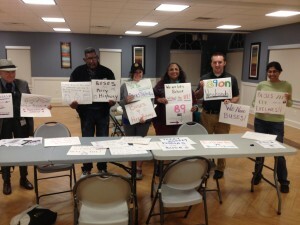 Thank you to senator Wayne Fontana and county councilwoman Denise Ranalli Russell and staff from representative Ed Gainey’s office foe coming out and showing support for the Garfield hilltop community! 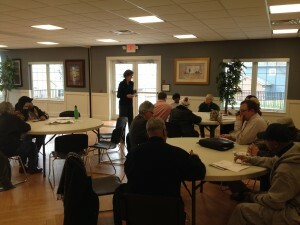 We had a great rally and meeting on Nov 2oth. For coverage of the event click here. 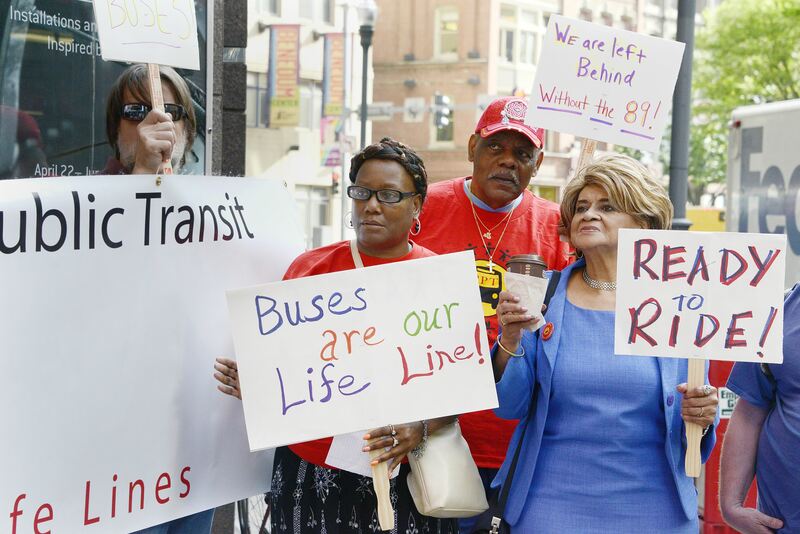 These campaigns are continuing to push Port Authority and our elected officials to get transit service where it is needed most. 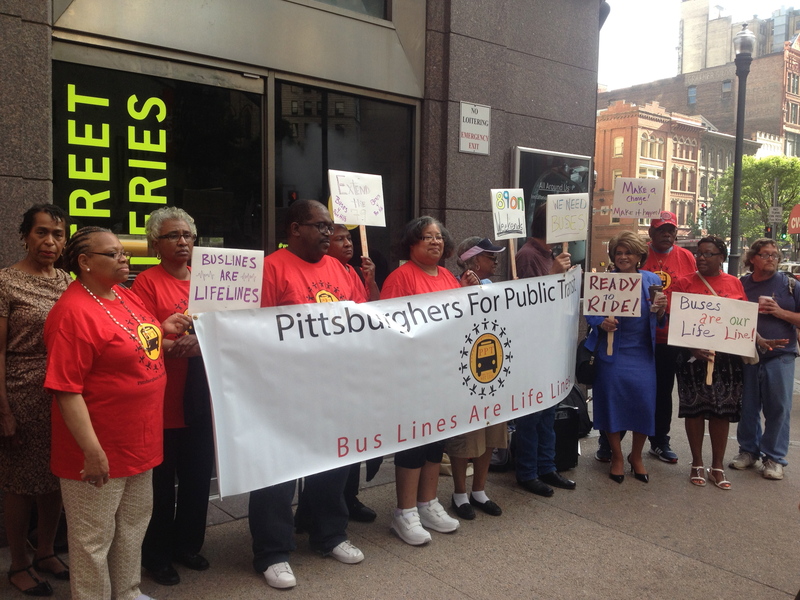 Nearly 400 requests were turned into Port Authority. Residents from Garfield came out to make signs for Friday Nov 20th’s Bus Riders Unite for Service Rally! Folks from Garfield canvassed on Nov 7th and garnered dozens more service requests from the hilltops of Garfield! 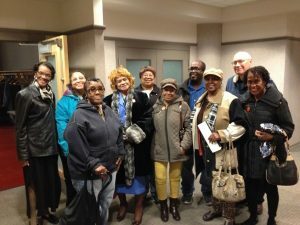 Bill Lawson and Nina Pettiford of Garfield spoke at the October 23rd Port Authority board meeting to call attention to the desperation and need for weekend service in the hilltop neighborhood. Nina Pettiford speaking at the PAAC board meeting surrounded by community members and PPT volunteers. 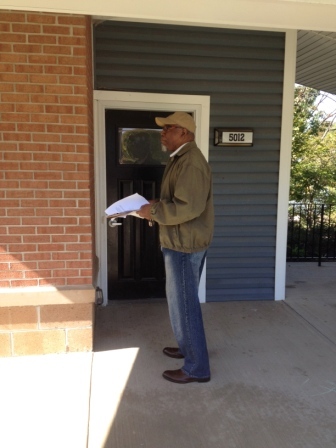 A canvassing day in Garfield Commons on October 10th yielded 50 more requests for service for the neighborhood! Bill Lawson and Del Royce Tatum, of Garfield, talk to their neighbors about addressing the need for bus service in their community. 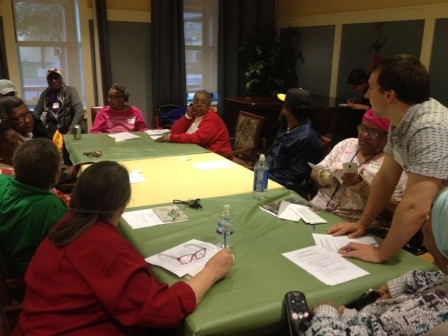 50 Garfield residents came together on Wednesday October 21st for a community meeting. 15 signed up to speak at the next PAAC board meeting! Six Garfield residents, along with the Bloomfield Garfield Corporation, spoke at the September 23rd Port Authority Board meeting to call attention to the need for weekend service on the 89 bus line! 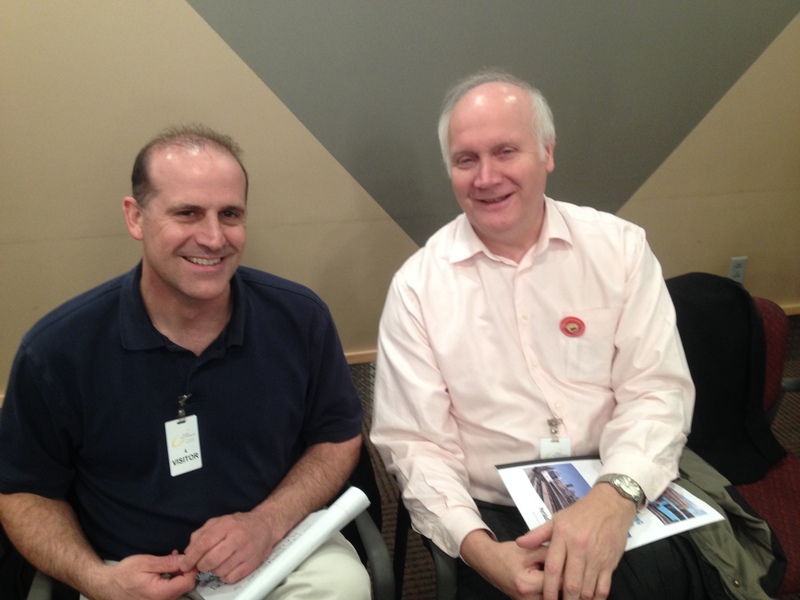 They brought nearly 50 written requests for service to the Port Authority board and staff. 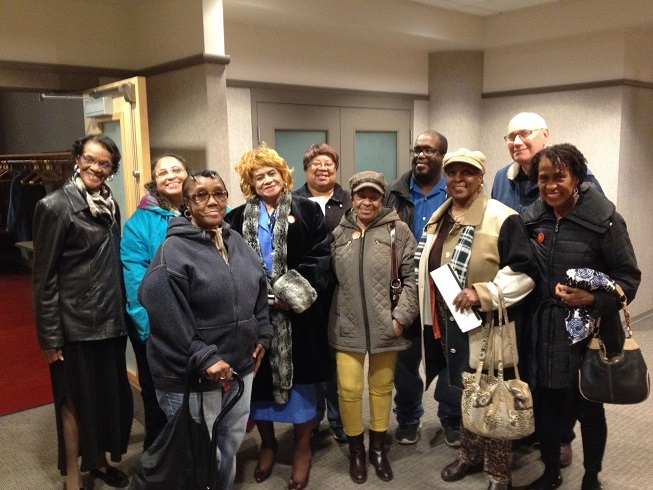 PPT has been working together with the Bloomfield Garfield Corporation and community members for weekend bus service on the 89. On Thursday Sept 17, 60 Garfield residents came out to a community meeting to discuss their transit needs. Many of them took action steps including writing letters to elected officials and making requests for service. Others signed up to speak at the Port Authority board meeting on Fri Sept 25. 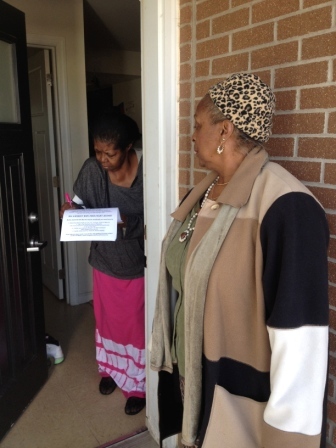 We are having a canvassing day on Sat Oct 10 to go door to door and get support for this campaign. We will leave from N Aiken Commons at 10 am. The next community meeting is Wed Oct 21 at 530 pm at North Aiken Commons. 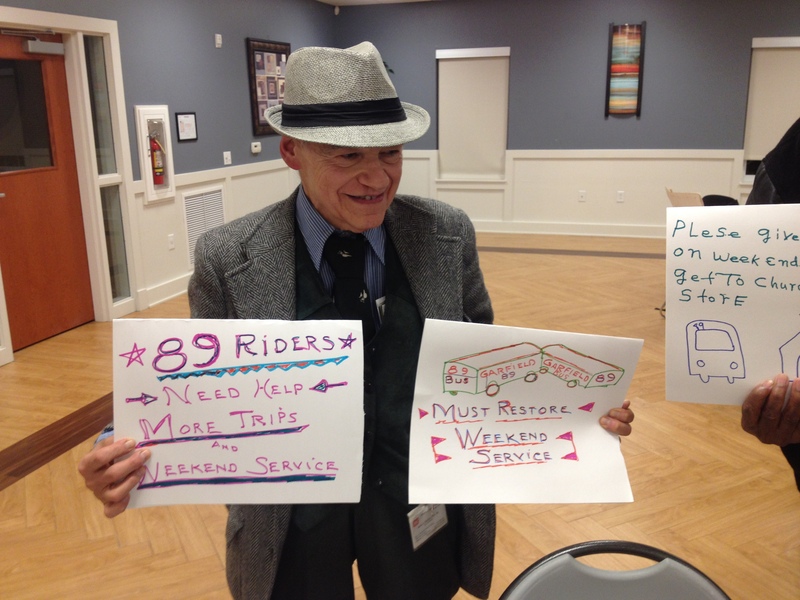 In the meantime, we encourage folks to make sure they share their need for weekend bus service. 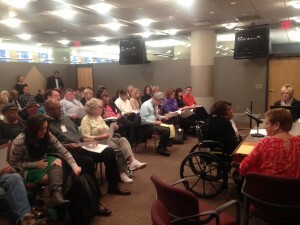 You can make a service request to Port Authority.